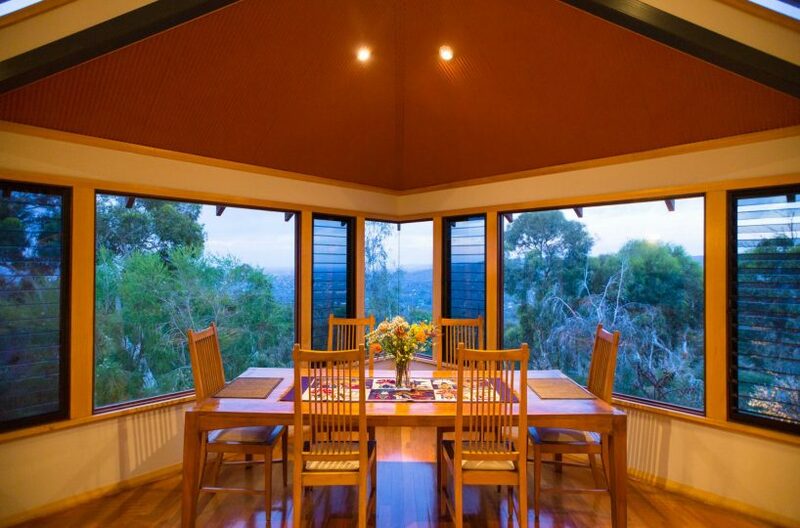 In total harmony with the surrounding escarpment landscape and nestled next to national parks, this home presents a rare opportunity for the astute buyer. Designed by renowned Hills architect Alan Davies and built by Vince Daly of Eze Construction, this house was the prize winner of the Green Smart Award, two Housing Awards and two best builder awards in 2005. 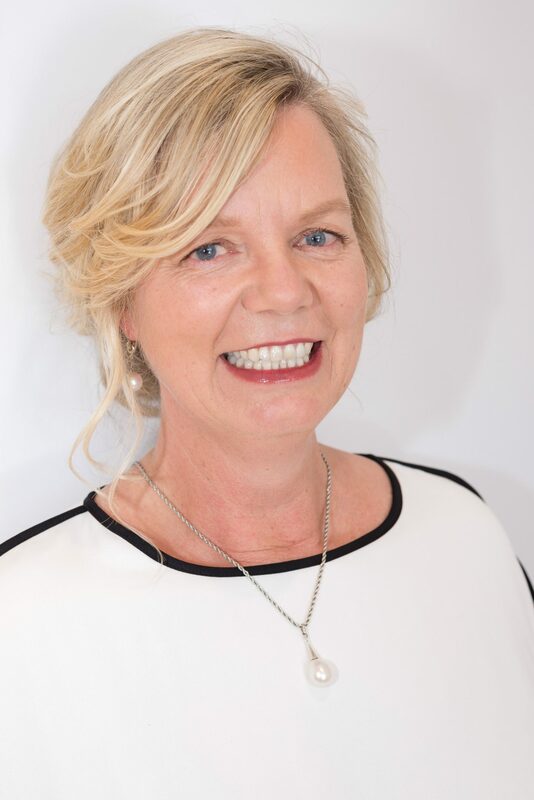 Only on the market due to family overseas joyously expanding, here is an excellent chance to purchase a prestigious, thoughtfully designed and treasured home in the hills. 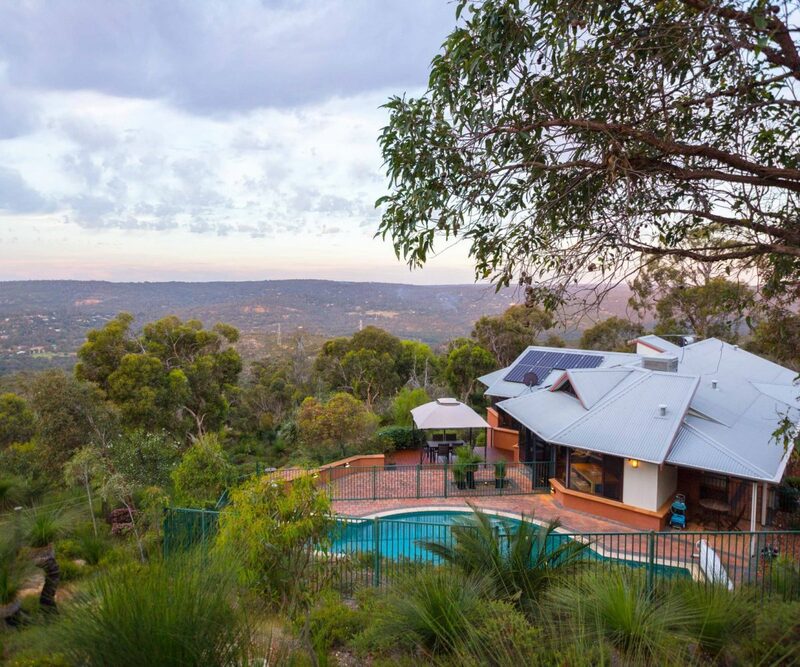 A short scenic drive from Kalamunda and the popular Gooseberry Hill restaurant and patisserie along the Darling escarpment, this gorgeous home sits above the scenic Zig Zag drive. 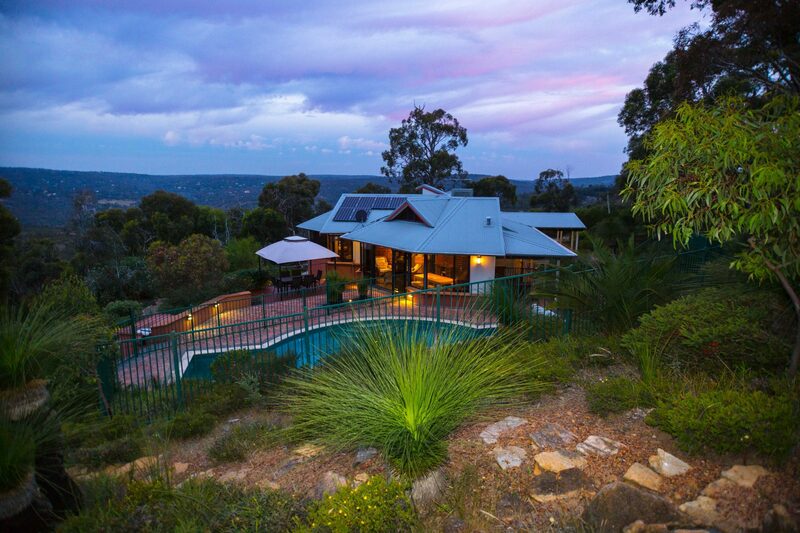 The property is just over 4000sqm of undulating landscape showcasing the rare native flora and established Wandoo trees. A solar powered gate opens onto the paved driveway, leading up to the covered car port at the rear. 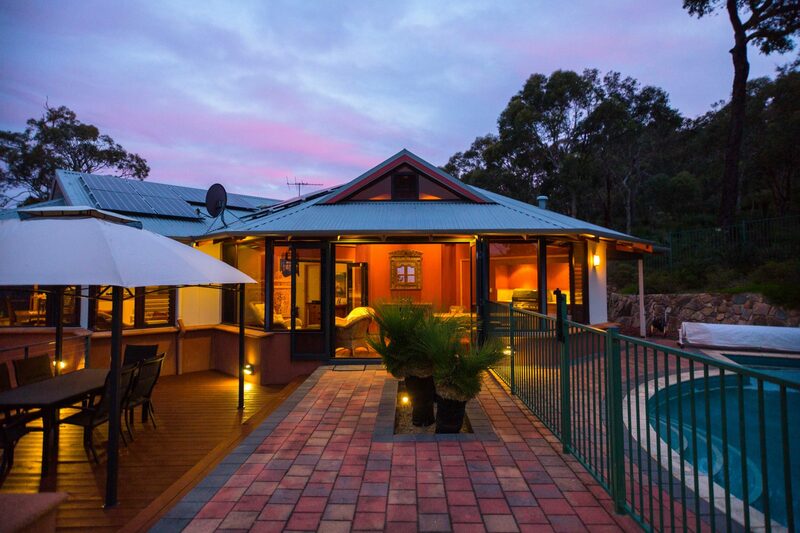 The entrance flows into the main living spaces all of which have spectacular north facing panoramic and forever views over the adjacent national and regional parks . 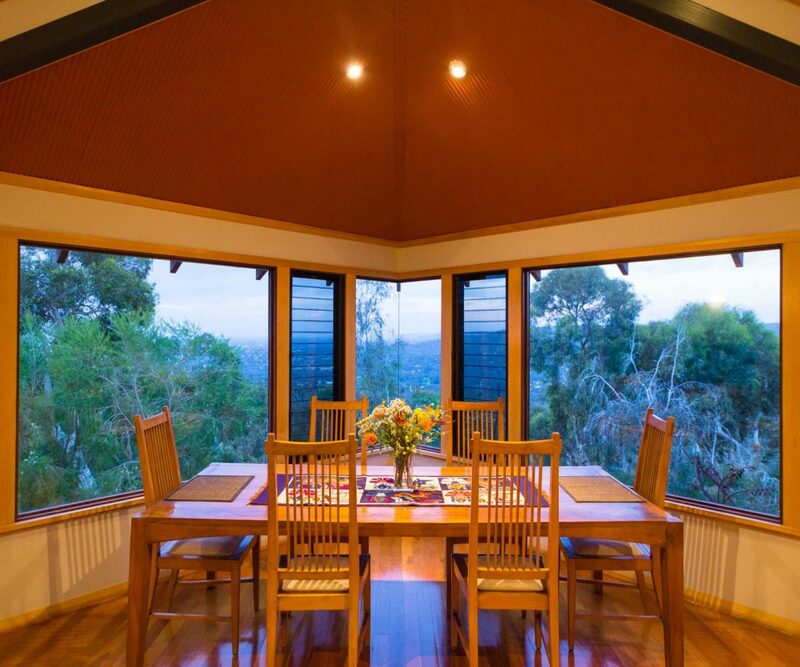 Attention to detail and devotion to nature are hallmarks of the home and are apparent throughout. 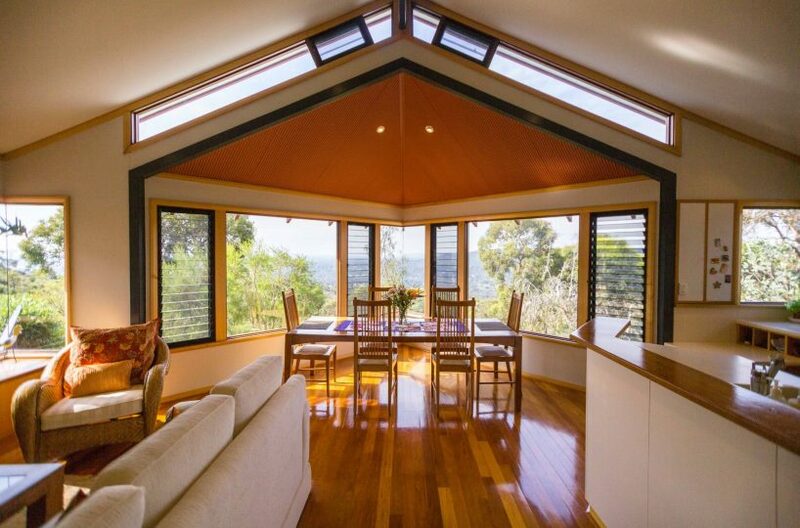 The Eastern Australian blackbutt and jarrah flooring, Tasmanian oak cornices, skirting, door and jarrah window frames bring nature indoors, while the solar passive north facing orientation of the house has been cleverly utilised by energy efficient GreenSmart design to make the most of Perth’s weather – warmth in winter and coolness in summer! Outdoors the garden features winding paths and seating areas to best take in the views over the escarpment. 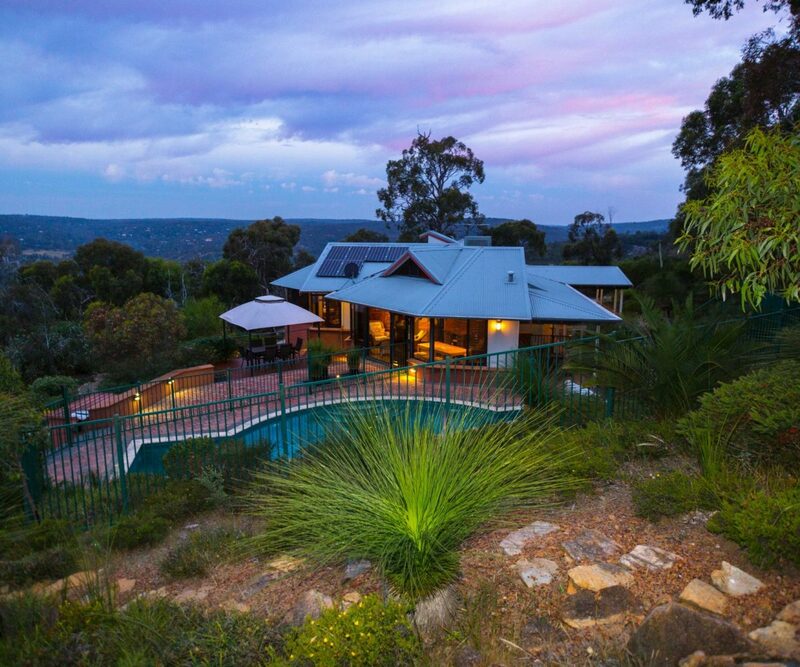 The below-ground swimming pool sits in a natural sun trap and allows for a longer than normal swimming season.The adjacent entertaining areas are also protected from easterly winds and look from Gooseberry Hill over the Helena Valley to the coastal plane. The home itself is divided into wings to best maximise the beauty of the surrounding scenery and domestic functionality. 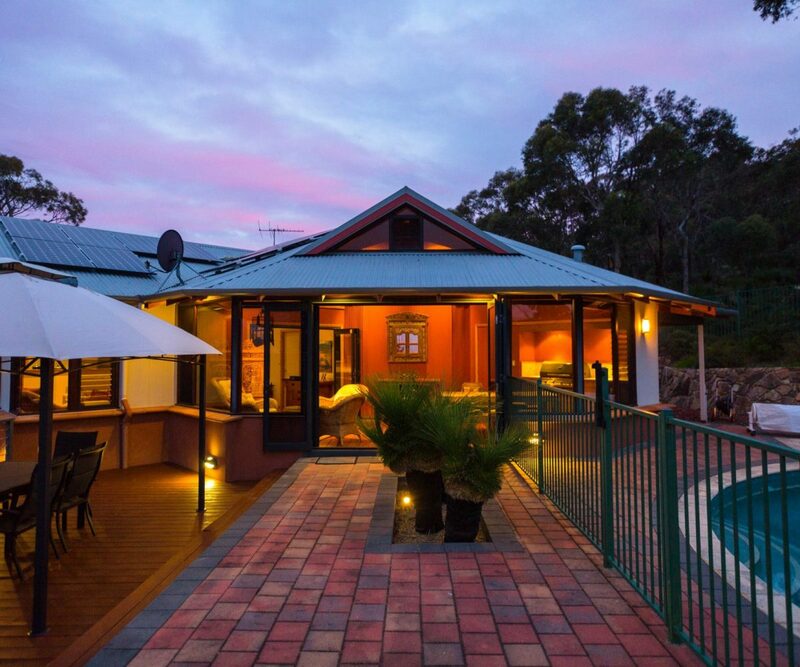 The first wing features an open plan dining/lounge and kitchen area with adjacent indoor/outdoor room with bifold doors and built in BBQ – perfect for entertaining year round. The guest wing has two bedrooms and one bathroom, lending itself for use as either a private space for visitors or as an area for younger family members. 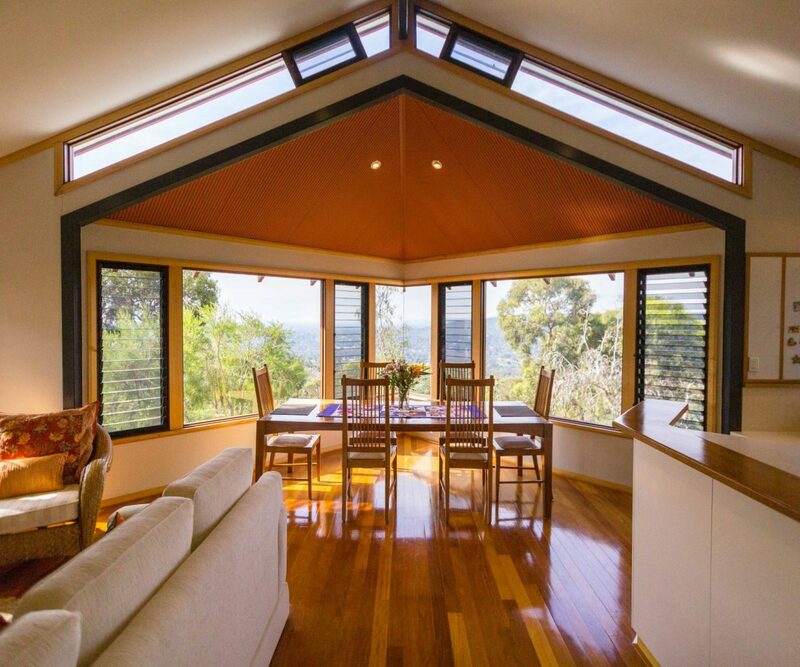 A second living room with the same magnificent views and versatile use is currently used as a large study but could easily be adapted to an art studio, writers retreat or a theatre room. A private passage leads to a two double-bedroomed master suite. One features a corner window with sweeping views, which would forgive you for not getting out of bed! The ensuite has a strategically placed bathtub and window seat to make the most of the outlook, with a separate shower, toilet, bidet and double basins making getting ready a breeze. This impressive house is prestigious not just for its award winning architecture but also as the embodiment of truly enjoying life at home. 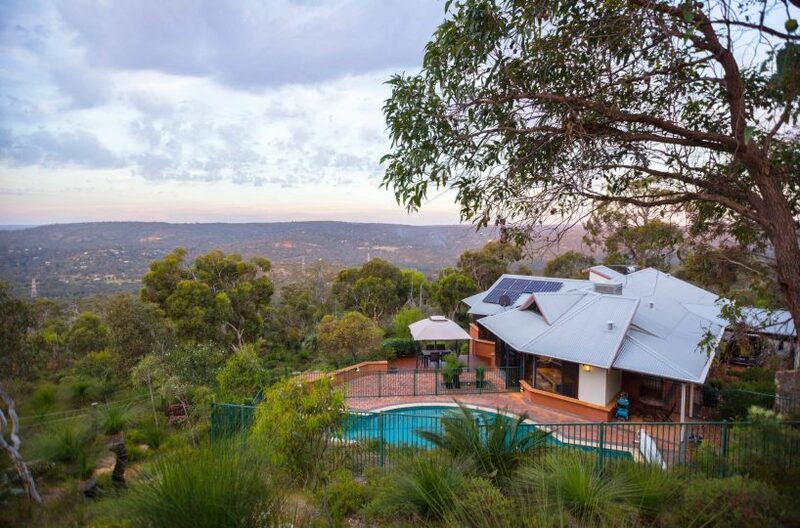 Find your enchantment in the beautiful Perth Hills, yet only 5 minutes from Kalamunda, 30 minutes to Perth CBD and 15 minutes to the airport. • Built to withstand cyclones and fires. • John Hogan built kitchen. • Outdoor room complete with BBQ & fridge and shade blinds. • Pagoda for deck dining area.